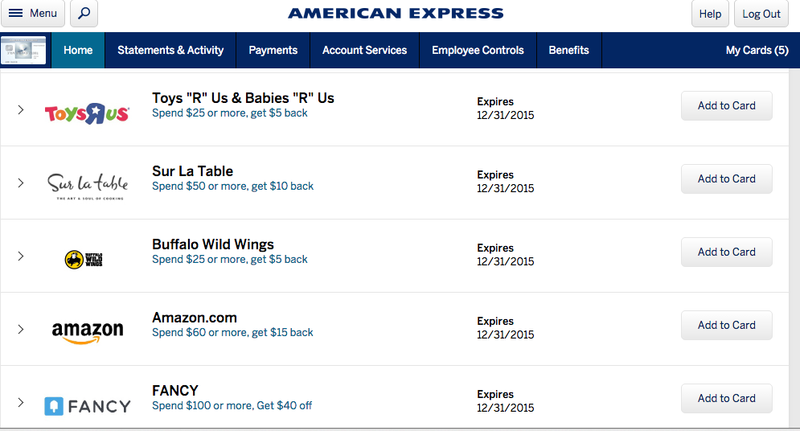 American Express Offers are basically offers you can add to your card to get a statement credit when you make a purchase at participating locations. Offers can be for online use, in-store, or both. This is just a small list of the offers that have been available in the past, but it represents most of the offers I have used. I try to only use offers to places that I use anyway. This way I'm saving money and not spending more money. The really good offers aren't available all the time, but when they do become available I like to get those offers on ALL of my AMEX cards that way I can get the deal multiple times. For example, recently I added the Amazon offer of buy $60 get a $15 credit to ALL of my AMEX cards (20 including my wife's account) and I purchased amazon e-gift cards in amounts of $60. So basically I got a lot of Amazon gift cards at 25% off. You can't always get an offer on ALL your cards, but sometimes you can. 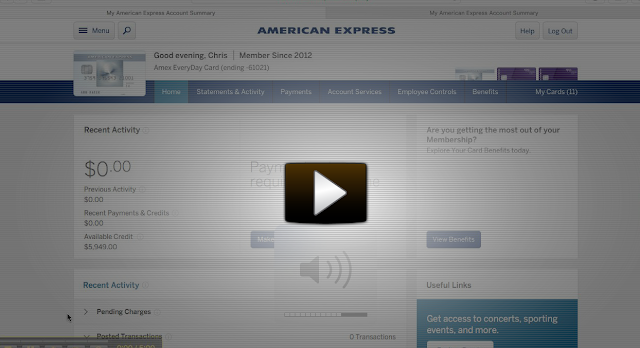 Normally, if you add an offer one one of your AMEX cards, you will NOT see that offer on any of your other AMEX cards. New York Travel Tips? [...]while the sites we link to below are completely unrelated to ours, we think they are worth a read, so have a look[...]?